Jobson Healthcare Information (JHI) provides targeted marketing, information, education and media services to a wide variety of healthcare markets including pharmacies, hospitals, physicians, government institutions, optical care and more. Frames Data, a subsidiary of JHI’s Optical Group, produces definitive references for eyeglass frames, ophthalmic lenses, contact lenses, eye care supplies and optical equipment. 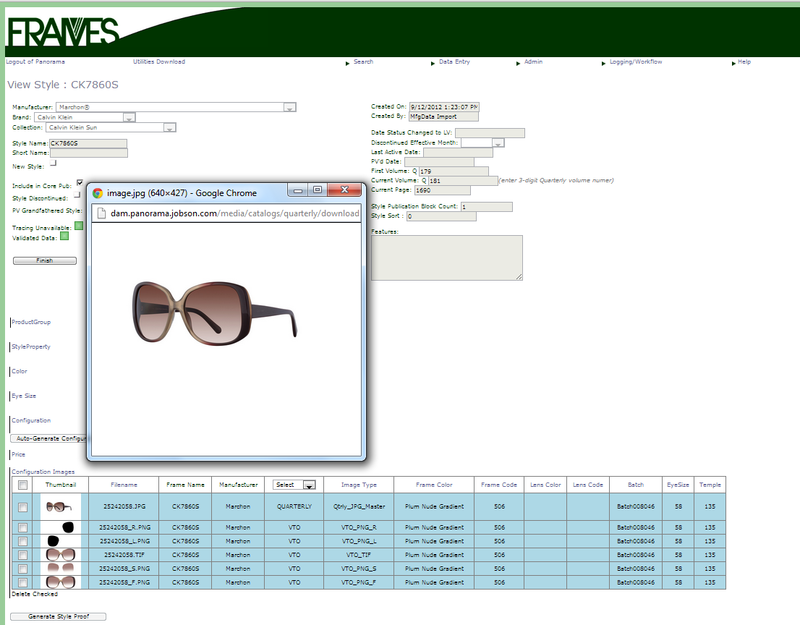 Frames Data helps eyewear dispensaries and optical labs run their businesses more efficiently by providing accurate, up-to-date information about optical products through specialized print and digital channels. 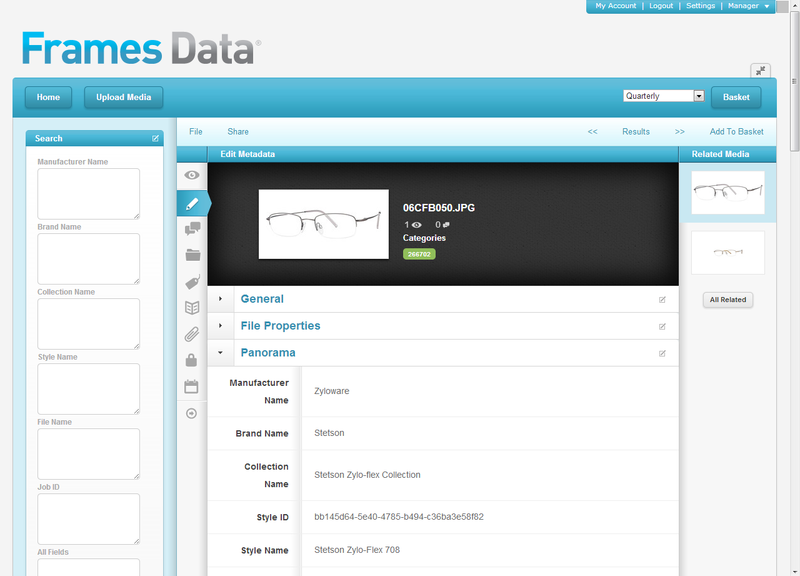 The Frames Data production staff utilizes a custom content management system, built by DPCI using Microsoft enterprise technologies, to manage and deliver information about optical products to print and Web channels. Panorama, the content management system, is integrated with a proprietary digital asset management system that allows Frames Data staff and customers to associate images with optical data. Though Frames Data had been using this integrated solution successfully since 2004, staff members complained that the proprietary digital asset management system was costly and prone to error. Over the years, Frames Data’s requirements evolved and the DAM architecture could no longer handle the increased volume of digital assets. This caused performance issues and data corruption resulting in user frustration and rework. In addition, the DAM system version in use at Frames Data reached its end of life. To upgrade the software to the most current version and then rework the integration with Panorama would require significant work efforts. Based on DPCI’s recommendation, Frames Data considered adopting an open source digital asset management system that would not only reduce software and maintenance costs, but also simplify the integration with Panorama through a more robust API for management, reuse and transformation of digital assets. 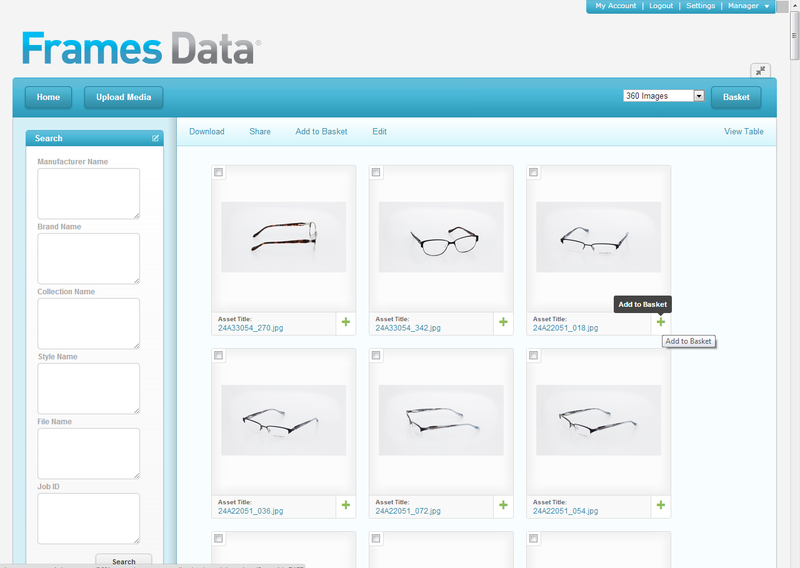 Frames Data management hired DPCI to enhance Panorama through an integration with EnterMedia version 8.8, an open-source digital asset management system. 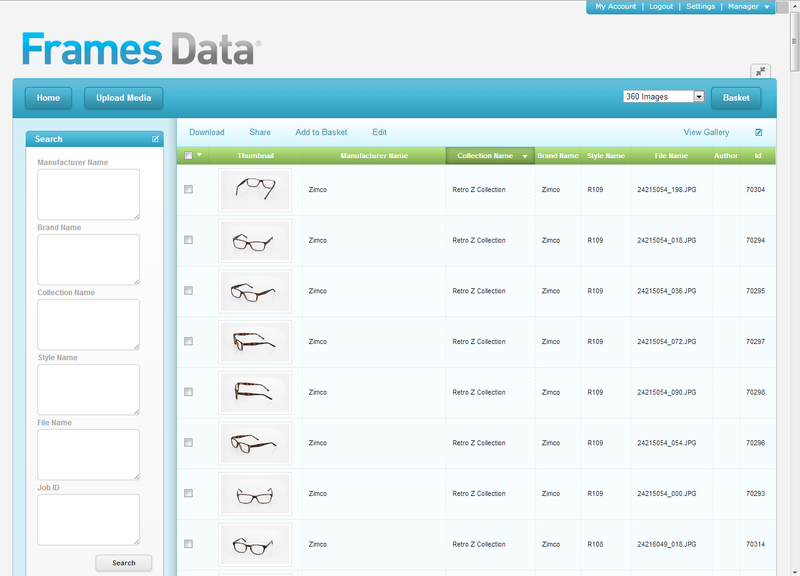 DPCI provided digital asset management consulting services to design a solution that would meet Frames Data’s needs. DPCI started with an analysis of the current studio image workflow and then met with operations, IT, client services and studio staff to elicit functional requirements and use cases for the new platform. DPCI installed and configured EnterMedia version 8.8 to store all of Frames Data image assets. DPCI configured hot folders for simple image upload and created image transformation presets so that EnterMedia would generate the necessary asset renditions on-the-fly for delivery to various print and digital Frames Data properties. Then, using the REST API, DPCI modified the Panorama application to display and reference images managed in EnterMedia and to populate metadata in EnterMedia from corresponding records created in Panorama. 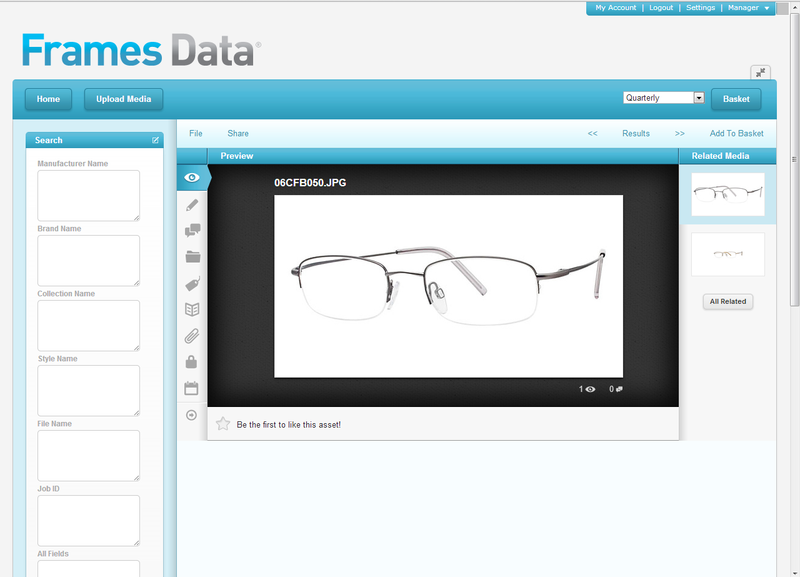 Frames Data launched a new version of Panorama integrated with EnterMedia in April of 2013. The upgrade of the custom content management system to incorporate open source technology was deemed a success by Frames Data management and is helping the company reduce costs in software, maintenance and support services. The transition to the new open source digital asset management system was also well received by Panorama end users. Operations, studio and client services staff found that the new DAM platform reliably created the asset renditions needed which eliminated the time previously spent searching for and fixing missing images. Panorama references the assets stored in EnterMedia, allowing Frames Data to maintain a single source of truth digital asset archive that can be utilized by other systems and applications in the future. With DPCI’s help, Frames Data now has a stable and scalable open source digital asset management platform that can handle the current and future requirements as well as the growing volume of digital assets.